Hurricane, Storm Surge, and Natural Disaster Cleanup - Grapple Trucks - Tree Service Express, Inc. When it comes to buying a property, one selling point that many individuals take into consideration is the amount of green space available. The presence of trees on these kinds of properties is an advantage and can even boost the value of the property in question. That is not to say, however, that owning a home or property with trees is always an easy task. Indeed, sometimes it is a difficult endeavor, indeed. This is perhaps especially true in Florida, where large tropical storms are a normal occurrence that happens every year. Natural disasters can wreak havoc upon your trees and might even leave you with a mess to clean up after the storm has passed. Luckily, you don't have to do it all alone. In fact, you don't have to clean up any of it at all if you'd rather not. This is where professionals, like those at Tree Service Express, Inc., come in! 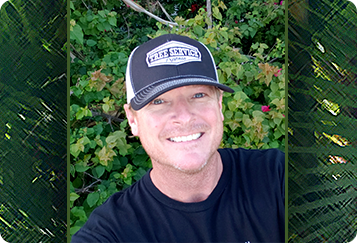 If you're looking for a family-owned business filled with experienced arborists who know their way around all manner of trees, Tree Service Express, Inc., is the business for you! We've been providing expert service to residents in Merritt Island, Palm Bay, and Melbourne for a decade and have no plans to stop any time soon. We understand that owning a tree can sometimes be an unexpectedly large responsibility. This is especially true after a large storm has swept through the area and left your property covered in debris. We offer an array of cleanup services designed to help meet the needs of individuals who have been the victim of hurricanes, storm surges, and other natural disasters. With our new fleet of grapple trucks, we are uniquely qualified to handle large clean up jobs, like those resulting from a storm or other natural disaster. With the addition of these grapple trucks to our team, we can now handle all clean up jobs from start to finish, no matter how big, bulky, or heavy the debris! You won't have to touch a single thing in your yard after a hurricane, if you don't want to. Our experts can remove any hazardous trees, trim and prune the surviving trees for optimum continual growth, and haul away ALL of the yard debris afterwards! Let us handle the stress of cleaning up after a storm or hurricane while you take care of your family and everything else that requires your attention. No need to call multiple companies, we are your one-stop-shop for hurricane, storm surge, and natural disaster cleanup. Our self-loading grapple trucks really simplify the job, getting it done in less time and saving you money! Florida is no stranger to hurricanes. In fact, it has experienced more direct hits from hurricanes than perhaps any other state in the country. It seems likely, then, that you have either experienced or might experience one while living in Florida and could see firsthand just how much damage the winds and rain can do to your trees. This is one of the many reasons why you should take good care of your trees and ensure that they are properly maintained (services which we are happy to offer). Sometimes, however, despite the best attempts and attention paid to your trees, the storm is simply too strong for them to come out unscathed. When this happens, you might very well be faced with a yard full of tree limbs and debris. If you find yourself in need of aid after a hurricane, do not wait to reach out for help. You don't have to struggle through the cleanup process on your own! There are undoubtedly many things that will clamor for your attention during this stressful and frustrating time. Let the professionals at Tree Service Express, Inc., clean your yard and dispose of the debris from your trees. We're happy to offer these services to help get your daily life back on track - and when you opt for us, you can rest easy with the knowledge that we'll take care of your cleanup as quickly and efficiently as possible. While many believe that high winds are the most damaging part of a storm, it should be noted that storm surges can cause just as much damage. A storm surge is an abnormal rise in the level of seawater during a storm. That water is then pushed onto the shore and crashes through the area, creating a literal wall of water. Even a "small" storm surge of around one foot could have enough power to move your car from the road as it moves through. As you might imagine, these storm surges can also do quite a bit of damage to your trees. If you have trees that have been damaged - or even levelled - by a storm surge, you might very well be facing uprooted trees in your yard or thick limbs littering your property. This can be an overwhelming sight, and often leaves individuals shaking their heads in frustration. This is where the professionals come in! The arborists at Tree Service Express, Inc., have experience in cleaning up after even the worst of storm surges. We are happy to help so that you don't have to do it yourself. Instead of struggling through the cleanup alone, give us a call and let us clear your property for you. We will gather and remove all fallen material and work to save any trees that are salvageable. With our help, you can restore your landscape to its former glory and once again see trees that are healthy and safe. In addition to the aforementioned hurricane and storm surge cleanup, we want to assure you that at Tree Service Express, Inc., we have the ability needed to clean up after almost any kind of natural disaster you might experience. We are able to assess the situation, determine what needs to be removed entirely and what can be saved, and then spring into action as quickly as possible to help return your property to its prior state. Reach out to us for more information and remember - you don't have to handle this on your own. Let professionals step in and shoulder some of the burden. We believe in minimizing the damage done to your property by hurricanes and other major storms. That's why we offer storm damage prevention services in addition to cleanup services. This comprehensive set of services includes assessing the health of your trees, maintaining your trees and ensuring that they are properly trimmed and pruned, and removing any trees or tree parts that are no longer safe or salvageable. This doesn't guarantee that you won't still experience some damage when the next hurricane or major storm rolls through, but it will help minimize the amount of damage that you experience and, subsequently, the amount of cleanup that needs to be done. Are you interested in hurricane, storm surge, and natural disaster cleanup? If so, reach out to Tree Service Express, Inc., today for more information!